Update: Unfortunately, the Draglings slot is no longer available. Do you like fantasy themes in slot games? If so, you might want to take a look at Draglings, because this game is all about dragons! You can visit the dragon's layer any time you want and witness the dragons hatch. The game features symbols of eggs, as well as the dragons and you will get the feeling to be inside a cave, as the background noise will also complement the theme nicely. The slot has a few nice features, including expanding wilds, spreading wilds and free spins. The variance of the slot is medium, which means that you should get regular winning combinations, but they will be mixed with higher and lower amounts. The special features trigger regularly, and they give you a realistic chance of some larger wins as well. The theoretical return to player is 96.4%, which is average for an online slot machine, and you can also play Draglings mobile on the go, as the game is optimised in HTML5 for many different mobile devices. 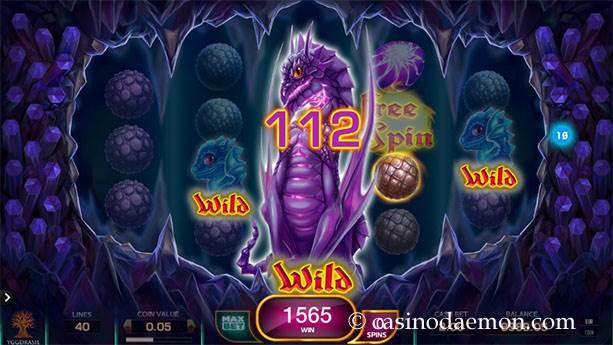 The game is packed with special features, mostly revolving about wild symbols and free spins. These trigger regularly and provide a lot of entertainment, and they also give you great chances of winning. The dragons are the wild symbols in the game and each of them has its own ability. The blue dragon is the regular wild symbol and he can stand in for every other symbol except for the free spin symbol. The purple dragon is an expanding wild and he grows and covers the whole reel. The red dragon is the spreading wild and he can randomly turn up to 4 additional symbols into either regular, expanding or spreading wilds. 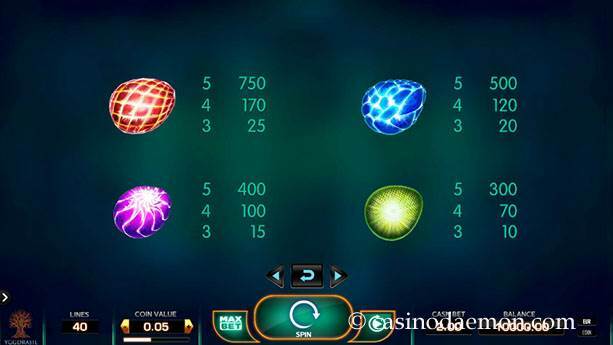 The game also allows you to trigger free spins when you get at least 3 free spins symbols anywhere on the screen. You can also trigger additional free spins during the free spins with only two additional free spins symbols which in turn give you two additional rounds. 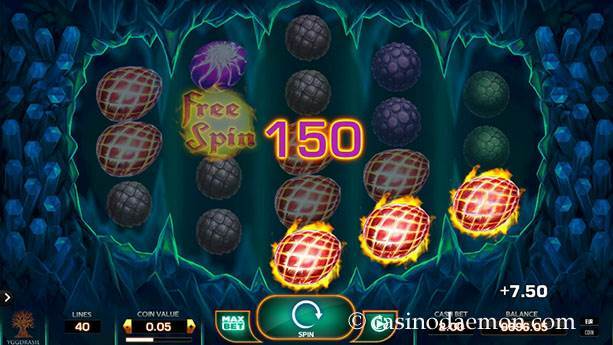 You can get 10, 20 or even 75 free spins when you manage to get 3, 4 or 5 free spins symbols. If you manage to get the 75 free spins, then you can expect some great winnings, however, they are very difficult to trigger. 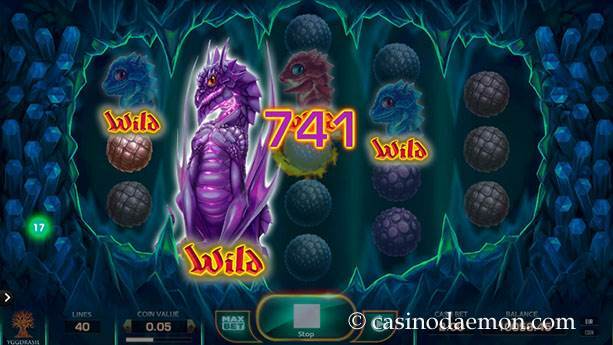 The Draglings slot has 5 reels with 40 pay-lines, 20 lines from each direction. All lines are played at the same time. The game has a minimum coin value of £/$/€ 0.005 that can be raised up to £/$/€ 1. The minimum bet you have to play in one round is therefore £/$/€ 0.20 and you can play a maximum of £/$/€ 40 per spin. It is also possible to select automatic play options.